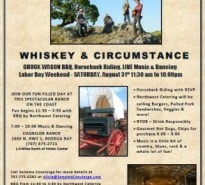 Comments Off on Chanslor Ranch This Saturday! 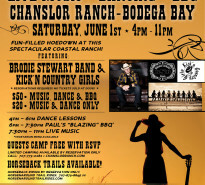 June 1st Country Hoedown at the Chanslor Ranch Barn! Comments Off on June 1st Country Hoedown at the Chanslor Ranch Barn!